With this geometric mean calculator, all calculations will be a pleasure! 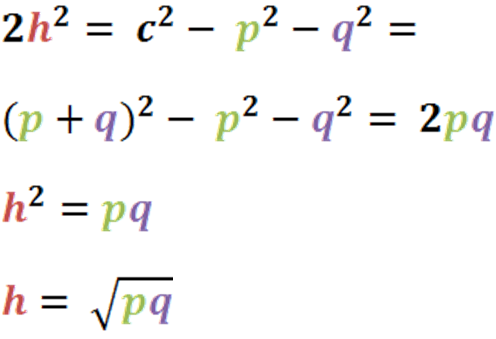 Just type the numbers of which you want to calculate the geometric mean and the result will appear in no time. Remember that you may enter up to 30 numbers - extra boxes will appear if you fill in the previous ones. If you're wondering what is a geometric mean and you're looking for a definition and formula of the geometric mean, keep reading. Simply speaking, if you are wondering how to find geometric mean, just multiply your values and take a square root (for two numbers), cube root (for three numbers), fourth root (for four numbers) etc. Generally, the geometric mean applies only to positive numbers. different numeric ranges - e.g., we want to take into account two values assuming they are equally important: one from 0-5 range and another from 900-1000 range. Change of the smaller number, even significant one (e.g. from 1 to 5) will result in tiny difference in arithmetic mean. The arithmetic mean neglects the smaller number, but that's the perfect case for geometric mean. the data is skewed downwards, has large positive outliers - geometric mean can take care of that, in contrast to the arithmetic average. the logarithm of the geometric mean of the set of numbers is the arithmetic mean of the logs of these numbers. Taking the antilog of the result (remember that the antilogarithm is simply the exponentiation). 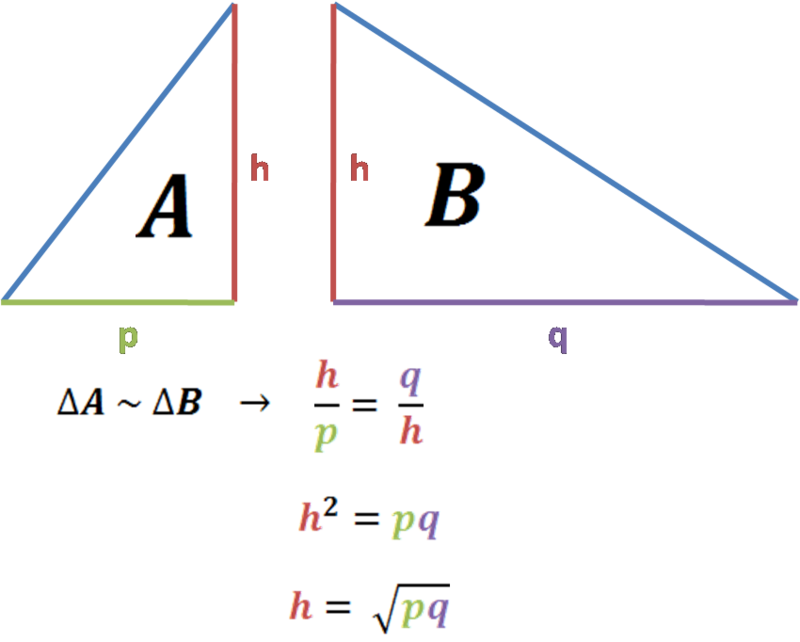 Let's have a look at geometric mean triangles and proof of this theorem. We'll show that in two ways - using similarity of the triangles and Pythagorean theorem. 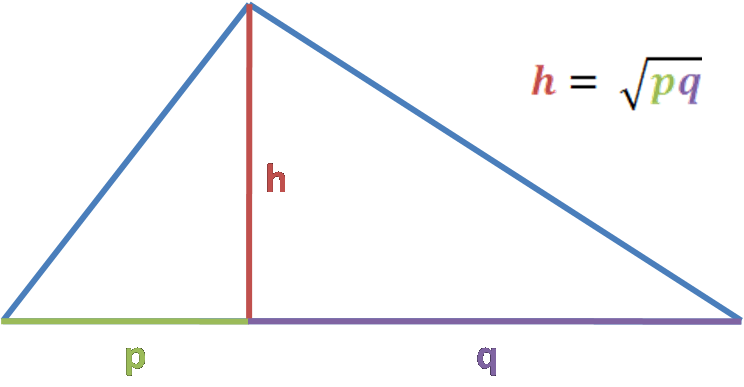 Following the image description, h is the altitude of a right triangle from its right angle, which splits the hypotenuse into two segments: p and q. 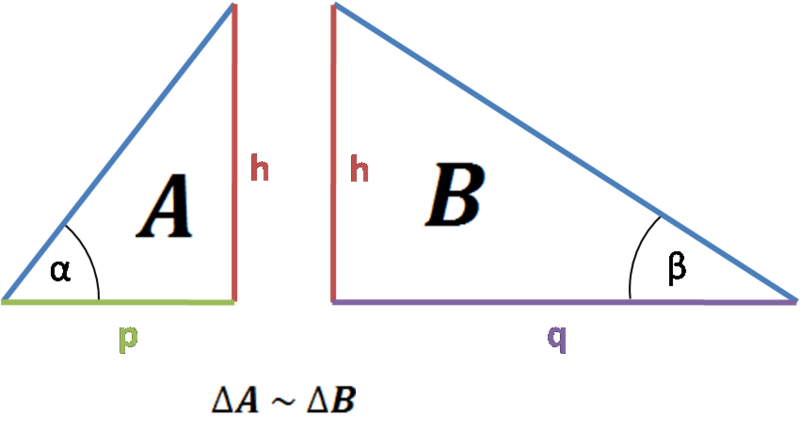 A hypotenuse is splitting the right triangle into two smaller triangles, let's call them triangle A and B. Triangle A is similar to our base triangle (two angles in common, 90° and α), and triangle B is also similar to a base triangle (congruent 90° and β). From that, we can imply that triangle A is similar to triangle B. 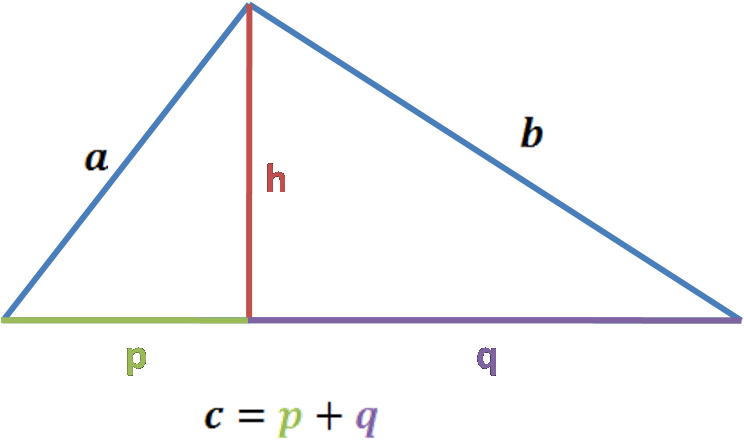 If the triangles are similar, we can write that the ratio between their congruent sides is the same. So e.g. longer leg of a triangle A (h) to shorter leg of that triangle (p) equals triangle's B longer leg to shorter leg (q / h). It was a piece of cake, wasn't it? There are many geometric mean relationships in ellipsis - e.g. taking the geometric mean of the maximum and minimum distances of the ellipse from a focus, you'll get the semi-minor axis. Geometric mean of the distance to the closest and furthest point of a sphere is the distance to the horizon of a sphere. 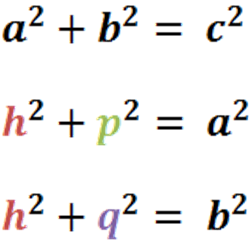 Looking for the approximate derivation of a squaring circle problem, you'll also find the geometric mean formula essential. Type the first value into the box It's 7 in our case. Enter next values. For us, it's 12 only. If you have more numbers than two, keep typing the values into separate boxes. Only eight are shown, but you can enter up to 30 numbers - they'll appear when the time comes. Here you go! 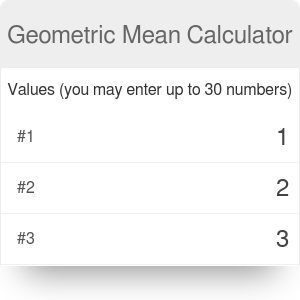 The geometric mean calculator displays the geometric mean on the go! Thanks to the tool, we found out that the geometric mean of 2 typed numbers is 9.1652. Great! In this article we specifically explained one type of a mean - geometric mean. But means are all around us! We've chosen only a couple examples of our calculators which are using averaging, but we're sure you could find more applications than that. Can you think of other applications of an average? Geometric Mean Calculator can be embedded on your website to enrich the content you wrote and make it easier for your visitors to understand your message.